At UYEE, we turn your 3D design into reality through by our rapid prototyping services. We ensure that you build the fastest, most useful, and most realistic prototype by avoid the common mistakes and pitfalls from using the wrong prototyping methods. CNC machined parts often take far longer to fabricate and significantly more investment than new. We use state-of-the-art rapid prototyping technologies such as PolyJet 3D printing, Stereo-lithography printing (SLA), and CNC machining, rapid tooling. UYEE excels at transforming your 3D CAD models into tangible prototype models in a variety of materials, including ABS, nylon, pom, aluminum, and a variety of other plastics and metals. Trust our engineering team to help you select the right Rapid Prototyping Service so that you get it right the first time, with the lowest investment possible. Rapid Tooling & Manufacturing is the process of fabricating a tool directly from a 3D CAD database. It reduces the time of fabrication by utilizing the latest advancements in solid modeling, CAM, CNC machining and additive manufacturing. In order to obtain products produced by real materials and form a certain amount of production capacity, Rapid Tooling comes into being based on Rapid Prototyping Manufacturing technology. In order to play a greater advantage of RPM technology, it must form a certain amount of rapid moulding capacity, therefore, Rapid Tooling, which is based on RPM technology, is now in rapid developing. It is characterized by its significant economic benefits, which reduces about 20%-30% when compared with the traditional mould. 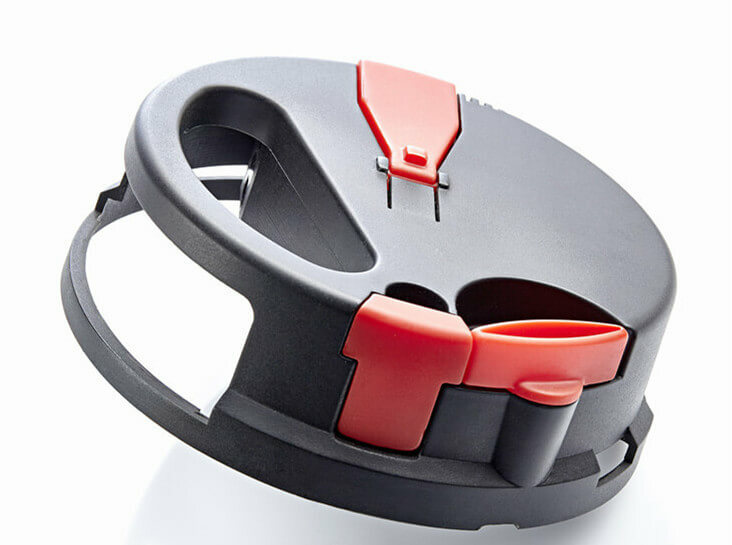 Our Prototype Tooling which we call PMT came out of experience in producing Injection Molds quickly. This tooling performs so well it is used quite often for bridge tooling and short run production. The PMT approach to rapid tooling is enabling new products to be developed in the final material of choice, in a fraction of the time it takes to produce a full mold. 1)Begin with a 3D CAD model with adequate draft. 3)Select a modular base that will accommodate the part. 4)Using 3D CAD, design the inserts for the modular base. 5)Fabricate the inserts with CNC machining and CNC EDM. 6)Assemble the inserts into the modular base. 7)Injection mold samples for appropriate qualifications. Additive Manufacturing (AM) is an appropriate name to describe the technologies that build 3D objects by adding layer-upon-layer of material, whether the material is plastic, metal, concrete or one day…..human tissue. Common to AM technologies is the use of a computer, machine equipment and layering material. Once a CAD sketch is produced, the AM equipment reads in data from the CAD file and lays downs or adds successive layers of liquid, powder, sheet material or other, in a layer-upon-layer fashion to fabricate a 3D object. UYEE was created from a desire to offer outstanding customer service while providing our customers with experienced and technical part feedback and creation. With over 11 years of conventional and advanced additive manufacturing industry experience, our customers get the answers they need to help bridge the knowledge gap between new and traditional manufacturing technologies. Rapid Prototyping Applications are being used in many fields. 3D printed prototyping is quite simply revolutionizing product design. The ability to turn your vision into reality in a matter of hours not only accelerates the manufacturing cycle, it also means that you have more time and opportunities to perfect design before production. Get your designs experienced the way they deserve. Such as: Physical models convey ideas to collaborators, clients, and marketers in ways computer models that can’t. Rapid prototyping facilitates the clear, detailed feedback essential to product success and lets designers quickly respond to input. To make a good communicate ideas. UYEE provides functional automotive & autosport prototyping from automotive trim to under-bonnet components. Automotive light, Dashboard, Bumper, Door…We have extensive experience in the use of both CNC and Vacuum Casting, and can create parts for testing and use with the minimum of lead time and cost. We have over 11 years experience in the development of consumer goods prototypes. Able to create a prototype in a few days, we can react quickly to any project development requirements. Examples of prototypes include photography models, customer evaluation prototypes, engineering prototypes for product development and “touch-feel” models which bring a product alive from a flat CAD screen. In-house painting and finishing services from a team of highly skilled model-makers allows us to produce fast, accurate and realistic prototype models. It’s very important to create medical equipment in rapid prototyping technology. Especially for big models with short run production. It can save production cost and time so much. All in all, above you can see that Rapid Prototyping Industry will develop faster and faster with the technology and demands to new product.